Star city specializes in providing tailor-made quality modular and prefabricated building solutions. All buildings are custom designed and constructed either on a precast concrete slab or on a steel chassis for future mobility. Houses (Villas & apartments) are guaranteed to last at least 30 years and comes standard with internal electrical and plumbing fittings, floor cover (ceramic or vinyl tiles), ceilings, aluminium windows and doors (whether wooden or panel, with or without security options). You are free to choose your own wall and roof colours, and can further select from a wide range of internal fittings to suit both your taste and budget. Our houses are environmentally friendly and can be fitted with solar lights, solar geysers and water saving devices on request. 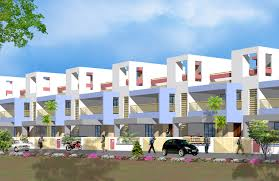 You can purchase plots and build your own house or we sell readymade houses as per your requirement. We can also design, build and sell group houses so that you can stay with your friends, families, colleagues.